C1 When Shall I Be Free? "Dedicated to the memory of Terence McKenna." What we have here is the postmodern emergence of the Shpongle sound, encapsulating at once classic Shpongle traits and new, different directions in psychedelic-tribal-ambient-trance. The total composition of each track flows into one another flawlessly, and they used more live vocal samples, more acoustic instrumentation such as a stand-up bass for some basslines, mixed with the quintessential Shpongle sound creates a new Chpongle hybrid, if you will. 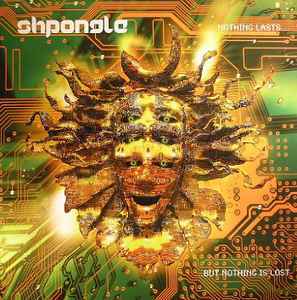 The second Shpongle LP took me a while to get used to it- this one will necessitate growage however i know i will fall completely in love with it as time passes. This album has such a unique sound in its composition- it would work very well as a live act, if it's not already.